Easy Exploring Across the South of France-Coming Soon! Go Get Lost - Active Outdoor Journeys for Active Outdoor Travelers! Easy Exploring Across the South of France – Coming Soon! Easy Exploring in the South of France – Coming Soon! 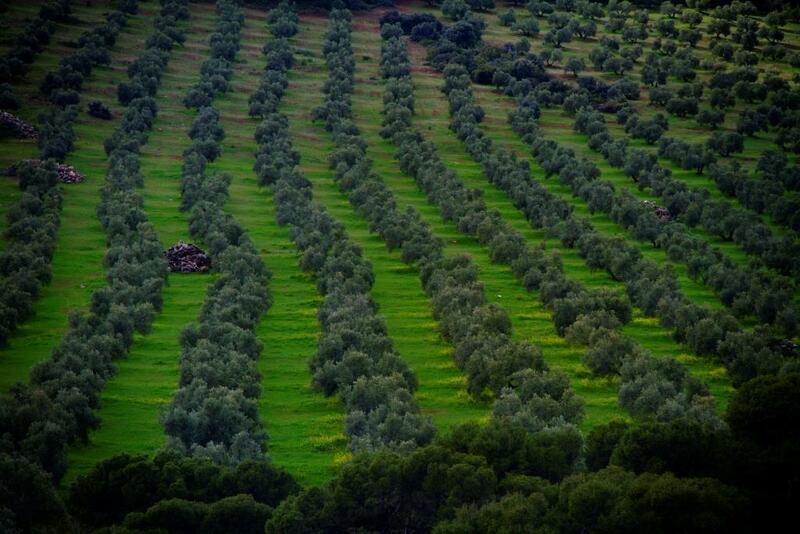 Come with us to discover the magical land of Andalusia! 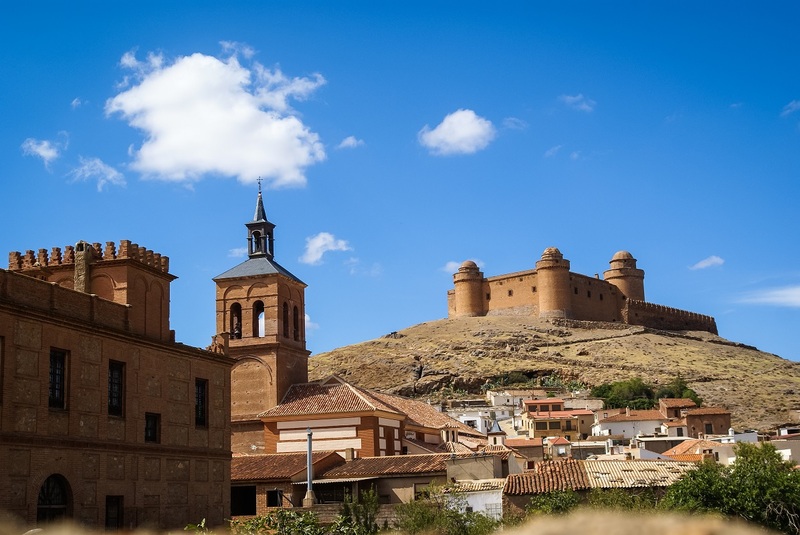 This area is one of the most fascinating in Spain, with diverse landscapes that encompass snow-capped peaks and arid desert landscapes, small sleepy whitewashed villages and vibrant historical cities. 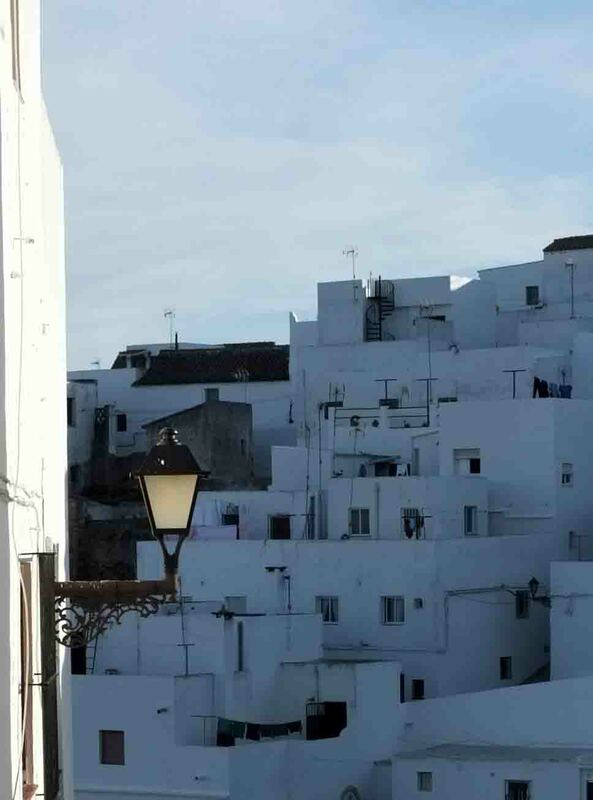 Encompassing most of Spain’s southern coast, Andalusia stretches from the windswept Atlantic coast in the west to the Mediterranean beaches in the east, and from Gibraltar on its southern tip to the ancient cities in the central plains. 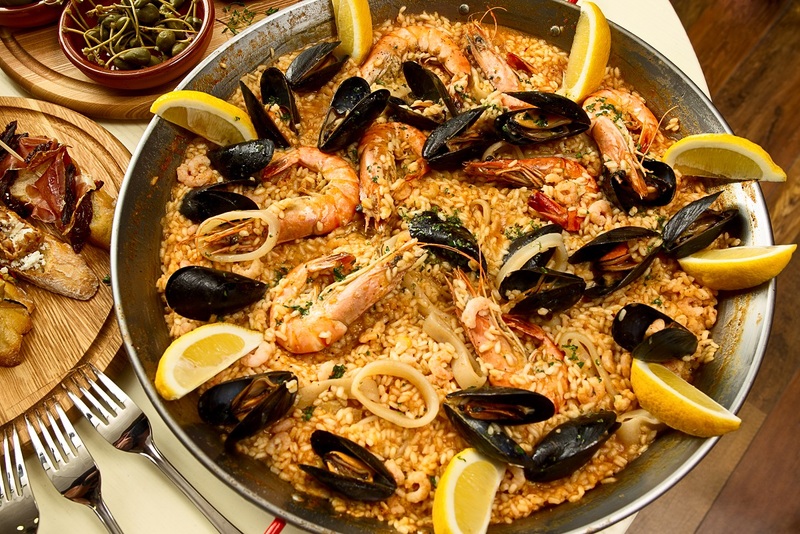 Andalusia embodies much of what the world thinks of as Spanish…flamenco, tapas, matadors and bullfights. 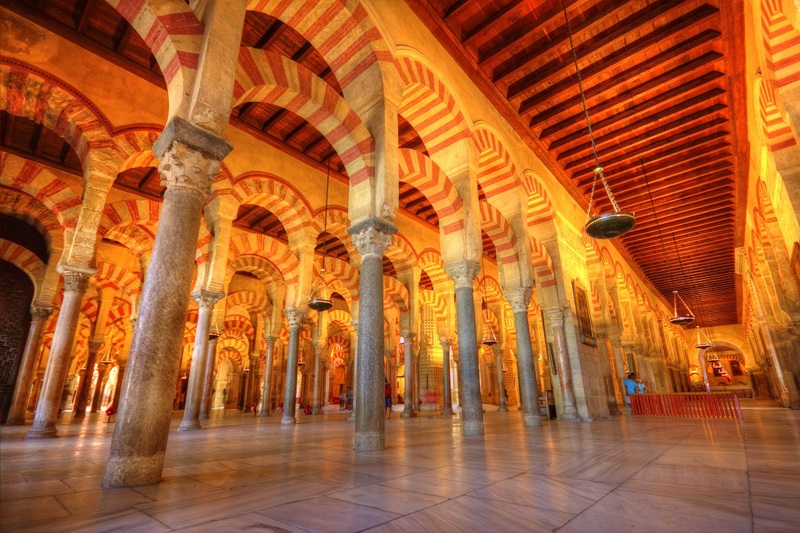 Under Moorish rule for almost 700 years, Andalusia’s unique legacy is most evident in its iconic architecture, including such landmarks as the Mezquita Cathedral in Cordoba, the Alhambra Palace in Granada, and the Cathedral of Seville, the largest in the world with 80 chapels! Not to be outdone by the history, the cuisine of the region is legendary, drawing on both the land and the ocean, and reflecting the diverse cultures who dominated this landscape over the centuries. 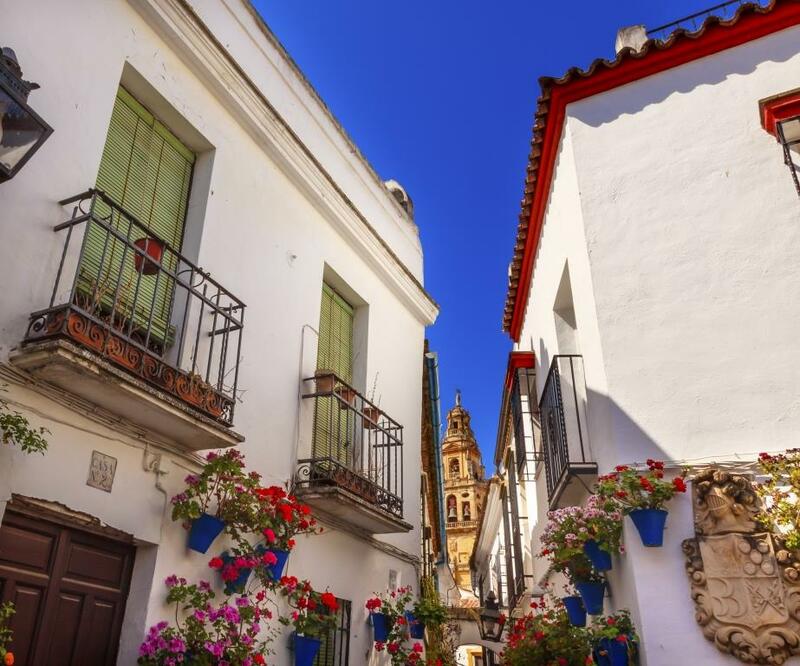 On this tour you’ll enjoy a combination of historic cities, small towns, and the scenic countryside in between for an experience that truly captures the spirit of Andalusia. This 9-day small-group adventure is for between 10 and 20 people, which is a perfect size for the charming hotels and country inns we use. Fully guided by local guides, with a Go Get Lost trip leader along to make things run smoothly. Click the thumbnail to view larger image. 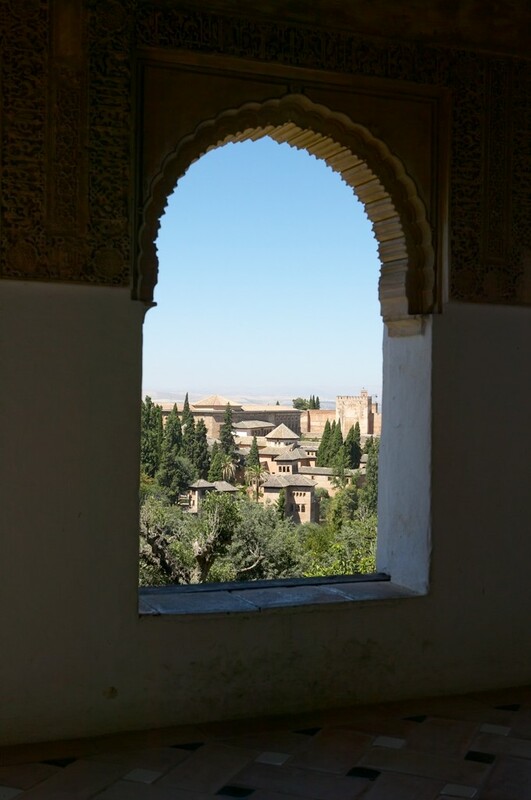 View of the famous Alhambra, Granada, Spain. SANLUCAR DE BARRAMEDA, SPAIN – MAY 23 2012: Pilgrims from Sanlucar de Barrameda leaving to attend the Romeros de Rocio near Seville in Andalusia Spain. 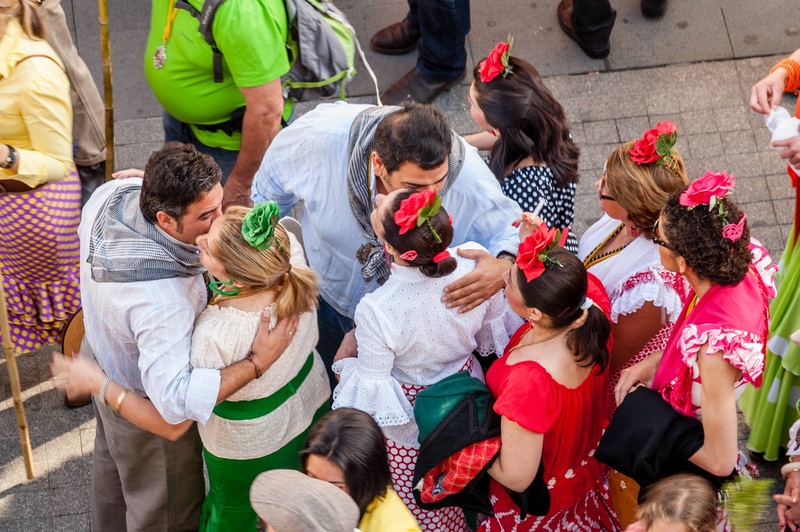 RONDA, SPAIN – OCTOBER 5, 2014: Crowds walk on Calle La Bola pedestrian shopping street in Ronda. Your tour departs this morning after breakfast from our meeting point in the hotel lobby in Malaga. (You might plan to arrive in Malaga the day before the tour starts in order to get over your jet lag and prepare for your adventure.) We will have a private group transfer through the scenic southern Spain countryside to Granada, situated at the foot of the beautiful Sierra Nevada mountains. After checking into our 4-Star hotel in the heart of the city, the rest of the day we'll spend exploring this small city with an ancient past and a surprisingly cosmopolitan feel. 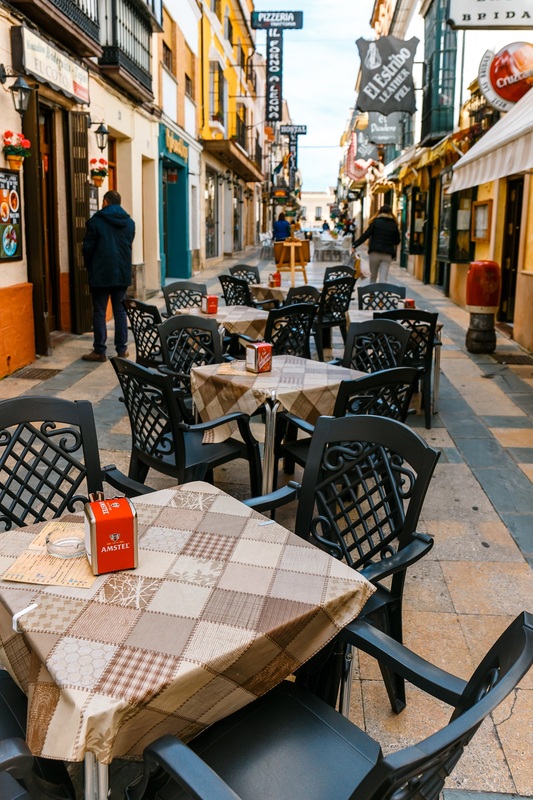 At midday we'll enjoy a lunch at one of our favorite restaurants in Granada, then you'll have some free time to explore the winding streets and lovely squares of this charming city. 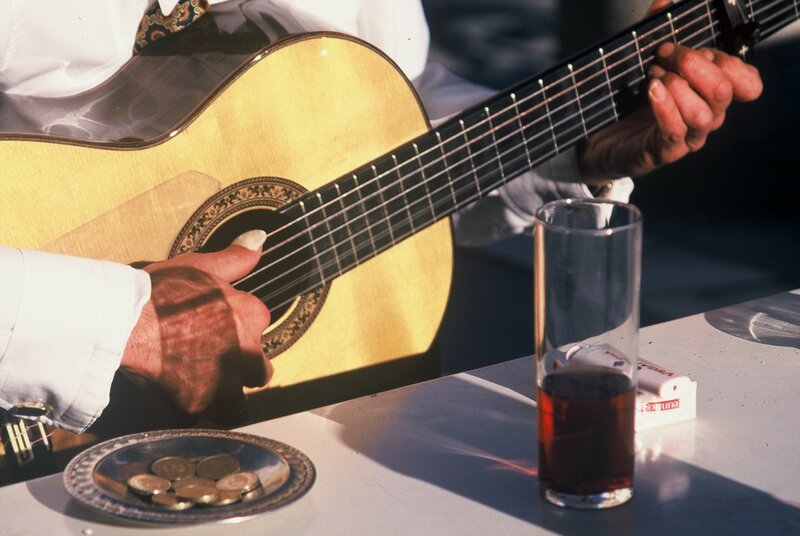 Tonight we'll enjoy an exciting Flamenco concert followed by a spectacular dinner of Andalusian specialties. 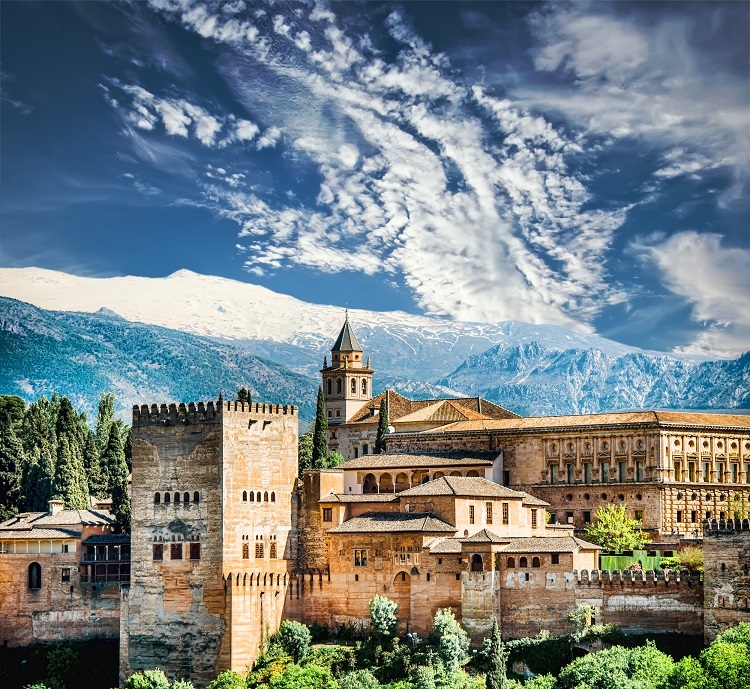 Today is a special treat, we'll have an expert local guide take us through one of the highlights of Spain...the massive palace and fortress complex known as the Alhambra and the Garden of the Generalife. Described by ancient poets as "A pearl set in emeralds", the Alhambra is a vast assortment of palaces and fortresses built for the Muslim emirs during the Nasrid dynasty, starting in the 13th century. Enduring through centuries of wars, invasions and restorations, the Alhambra today is a fascinating experience, not to be missed. 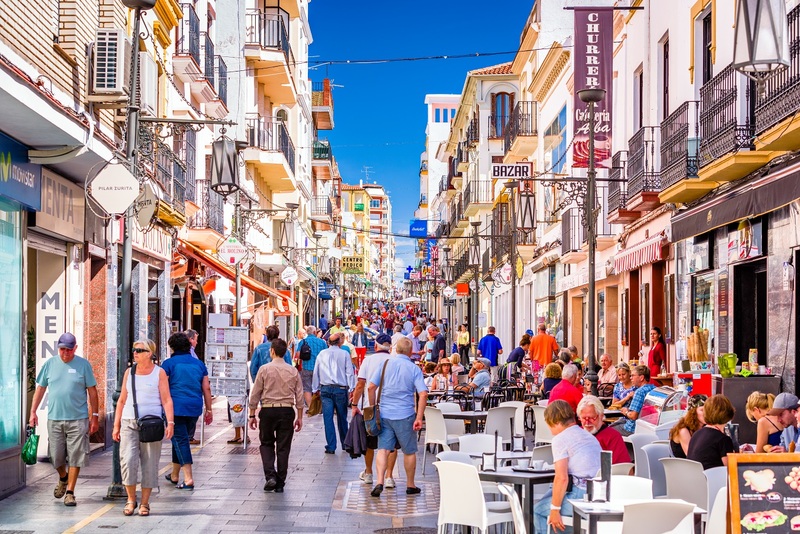 This afternoon and evening you'll have time on your own for shopping and wandering in this lovely Andalusian city. Granada has many jewels to offer: the enchanting labyrinth of narrow lanes in the Albaycín quarter, the streets lined with tea houses, and the impressive Capilla Real (Royal Chapel) and Cathedral. Or you can simply do as the locals do and watch the world go by with a coffee on one of the squares. Maybe there’s time for a relaxing bath at the Hamam with a massage? 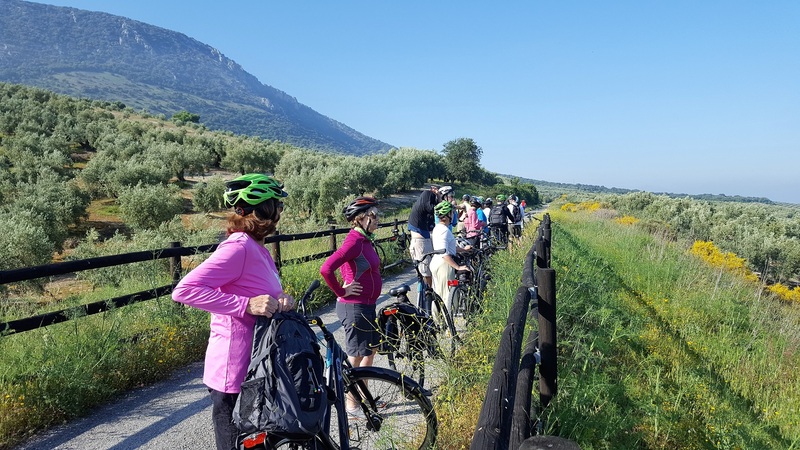 As an option for today instead of the olive oil tasting you can choose a more active experience and after the walk from Zuheros you can enjoy an easy one-hour bike ride from the hacienda to the nearby town of Cabra. You'll have a perfectly flat bike trail that winds through some of the area's most scenic landscape. Converted from an abandoned railway grade, the greenway cuts through picturesque Andalusian countryside, over metal viaducts and through endless olive groves. At Cabra you'll settle in to some excellent tapas and wine before riding back to the hacienda in our shuttle. The kitchen at the hacienda is famous, so tonight we'll feast on regional specialties and wash them down with some of the excellent Spanish wines. Today we'll enter Cordoba, one of the most historic and fascinating cities in all of Europe. Originally settled by the Carthaginians, Còrdoba was also ruled by the Romans and Moors, who both left their mark on the city. This morning we'll have a private guided tour through some of Córdoba's most fascinating spots. And of course we'll not miss one of the most famous sites of all, the Mezquita! After our morning of tours you'll have the remainder of the afternoon free to wander on you own. Right outside the door of your hotel you'll find a maze of tiny winding streets and countless shops and bars...a joy to explore! Tonight we'll meet again and our local guide will take us to one of their favorite Còrdoban restaurants, tucked away on a quiet side street, for another incredible meal. Perhaps afterwards you might want to follow the sounds of music to sample the night life Còrdoba has to offer. Later this morning we'll settle into our private coach for a relaxing journey through the Andalusian countryside. We have a fascinating visit planned at one of the local wine producers, to understand how he produces his wine and also to enjoy some of his excellent vintages. After relaxing and recharging during our lunch stop at one of our favorite local restaurants, we'll check into our 4-Star hotel, unpack, freshen up and wander the village of Ronda, our home for the next two nights. 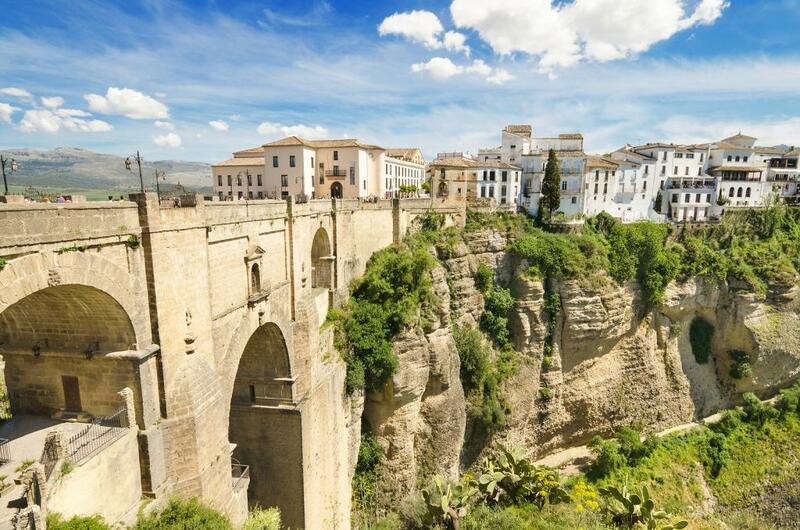 Perched on a dramatic cliff with stunning views over the gorge below, Ronda has a charming town center, featuring an 18th century bull ring and a multitude of shops and bars. 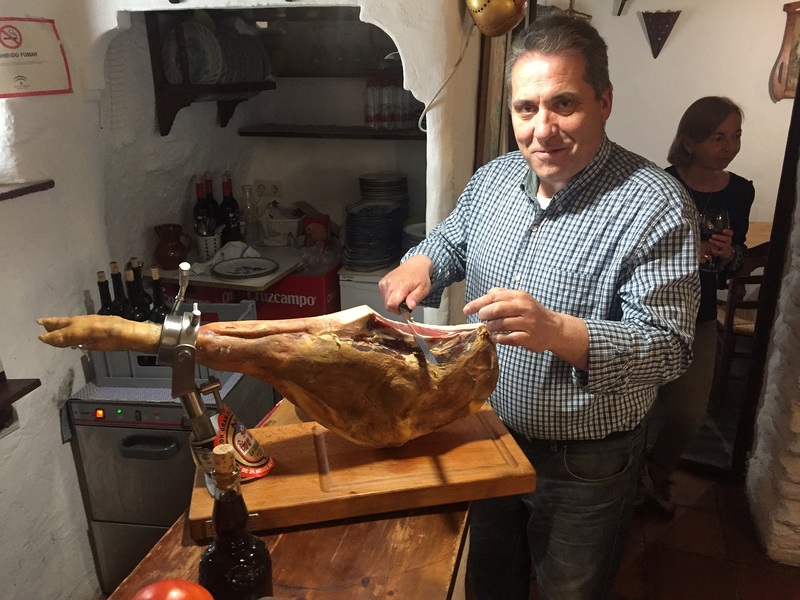 Later this afternoon we have a special treat, as we're going to visit a nearby farm famous for its Iberian hams, which are known all over the world. Here we'll enjoy a tour of their ham-curing rooms, then sit down to a home-cooked meal made from the organic products of the farm. After dinner tonight, the town center of Ronda will provide an excellent place to wander...the Spanish like to stay up 'til the wee hours! 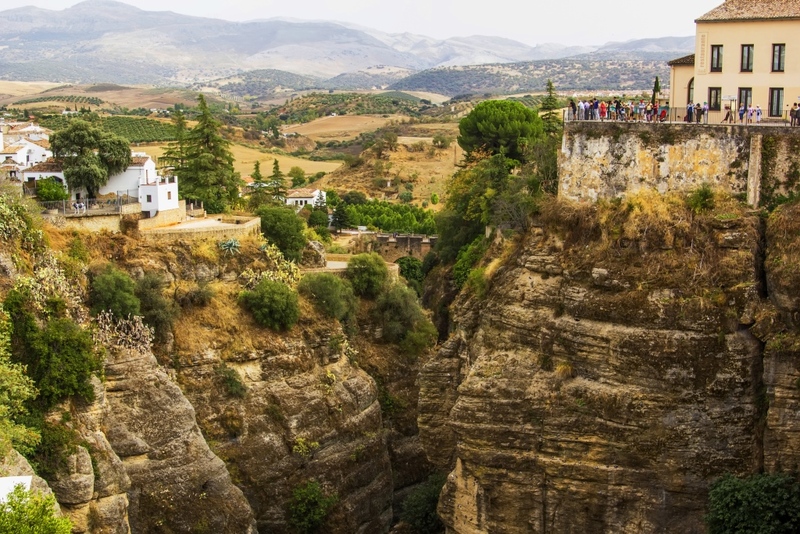 You'll have the morning free to explore and discover Ronda. You'll find plenty of winding streets lined with interesting shops, and bustling squares full of both locals and visitors. Save some energy, though, because this afternoon we have some fun things planned! 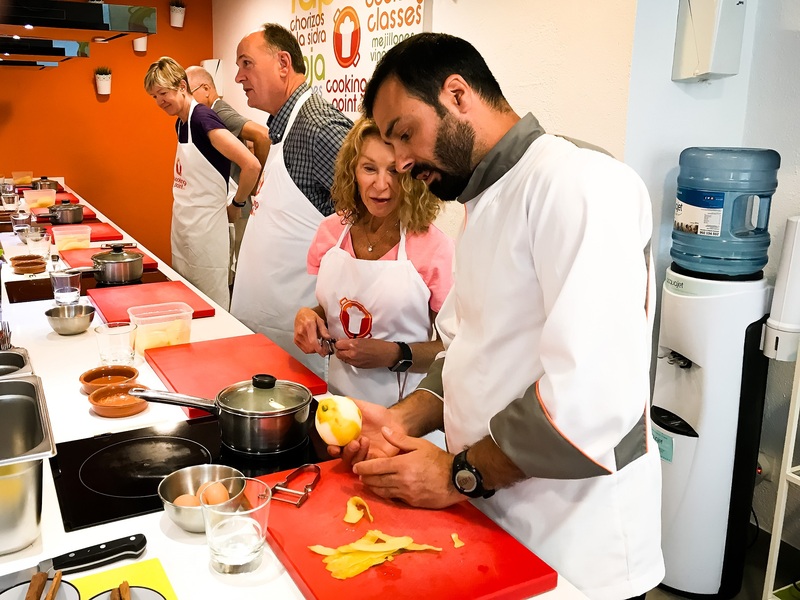 It's said that you can best understand Andalusian culture through its food and wine, so today we'll dive into both as we roll up our sleeves to learn how to prepare some local specialties...all while IN a vineyard. Of course we'll spend time touring the winery and sampling the produce, then sit down to a delightful meal of our own efforts. Today we drive to farther to the west into the Natural Park of Sierra de Grazalema, a wild place of gorges, peaks, whitewashed villages and very few people. 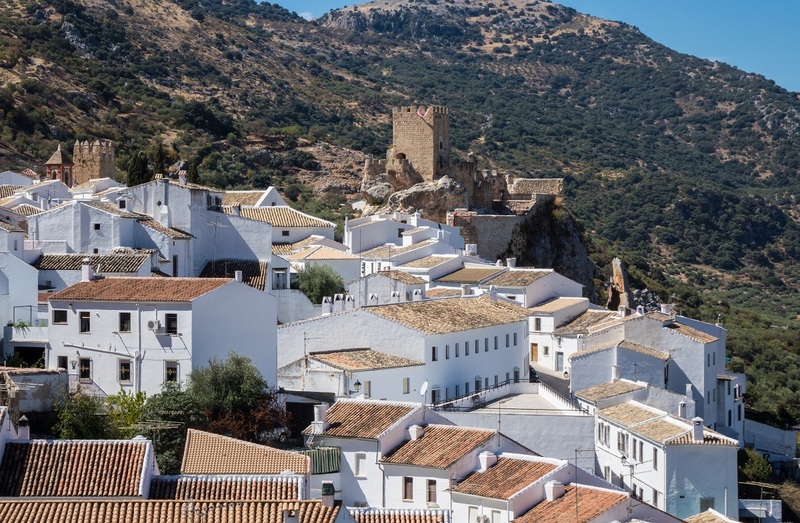 The mountaintop town of Grazalema is worth a stop, if for no other reason you can wander, enjoy the views, and relax in the peaceful ambiance of the town square. Later we'll continue on to the town of Jerez de la Frontera. 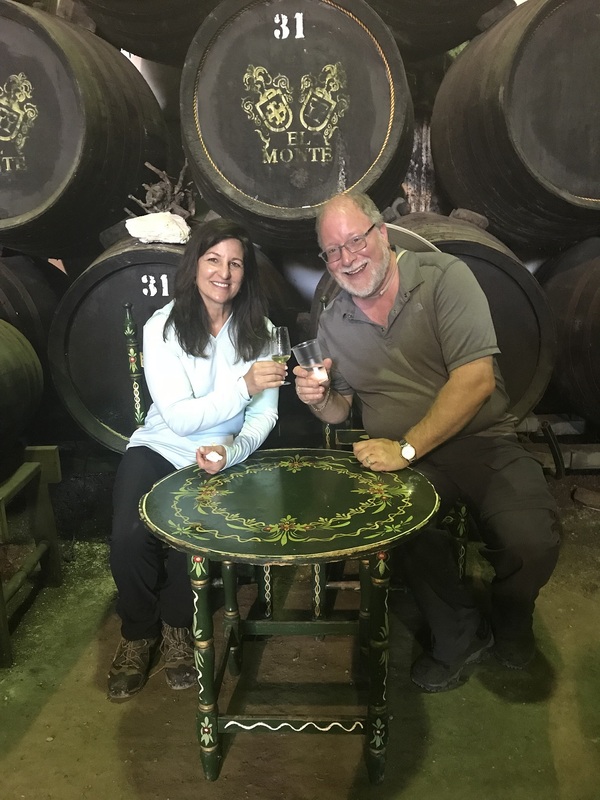 This area is one of the world's premier producers of sherry and brandy...so of course we'll need to visit a local winery for a tour, a tapas lunch, and a wine and brandy tasting of the vineyard's excellent production. 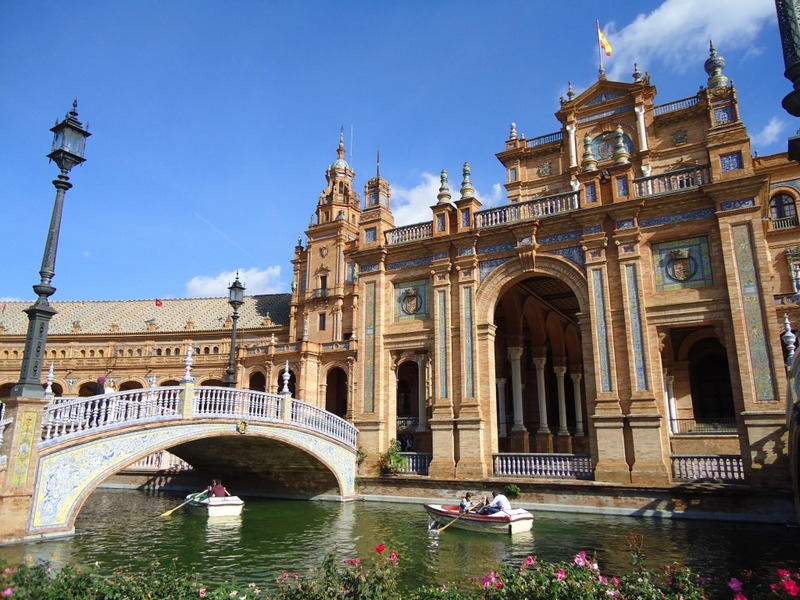 Later this afternoon we'll arrive at Seville, the capital of Andalusia, with one of the largest historic city centers in all of Europe, tracing its history back over 2000 years. We'll be staying in a small hotel in the Santa Cruz historical district, only minutes walking from their famous cathedral and the Alcazar.. This morning we take a walk through the city, taking in its beautiful "Mudejar" architecture (a mixture of Christian and Moorish styles), the Alcazar, the Cathedral and the riverside with its Golden Tower. 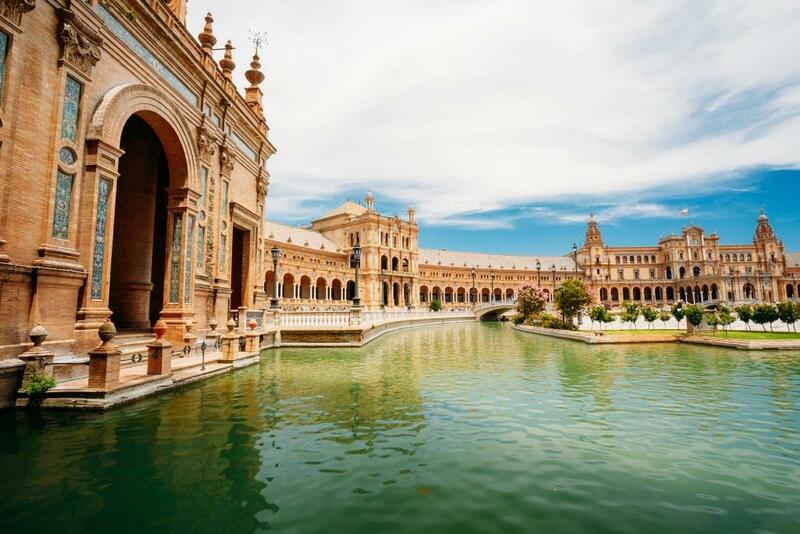 To get yet another perspective on the city, we'll board our private boat for a relaxing float down the Guadalqivir river, which runs through the heart of Seville. 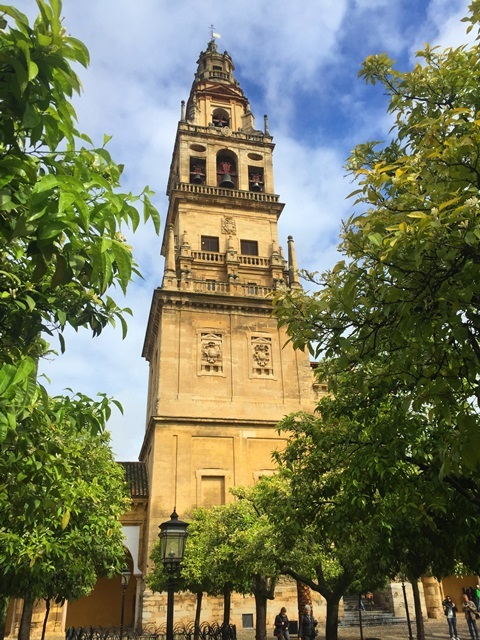 The afternoon is free for you to explore Seville on your own...enjoy the view from the top of the Giralda Tower, or maybe shop for some last minute gifts for the loved ones back home. Tonight we gather at one of our favorite local eateries to enjoy a delectable farewell dinner. Toasts will be made, pictures exchanged, and adventures relived...all the while celebrating our time together in Andalusia! For those with late-night energy, the vibrant nightlife of Seville beckons! Your Easy Exploring trip comes to an end this morning after breakfast. You have several options for onward travel. Seville has an international airport, and high-speed trains connect Seville with Malaga and Madrid. Today we'll experience one of the world's most spectacular pathways, the Caminito del Rey, or The King's Little Pathway! Perched impossibly midway up the sheer walls of El Chorro gorge, the suspended walkway, (completely rebuilt in 2015) provides unparalleld views of the magnificent gorge. After our walk we'll have lunch at a local eatery and refuel for the afternoon, when we continueDon't stay out too late, though, as tomorrow we're off into the countryside again! 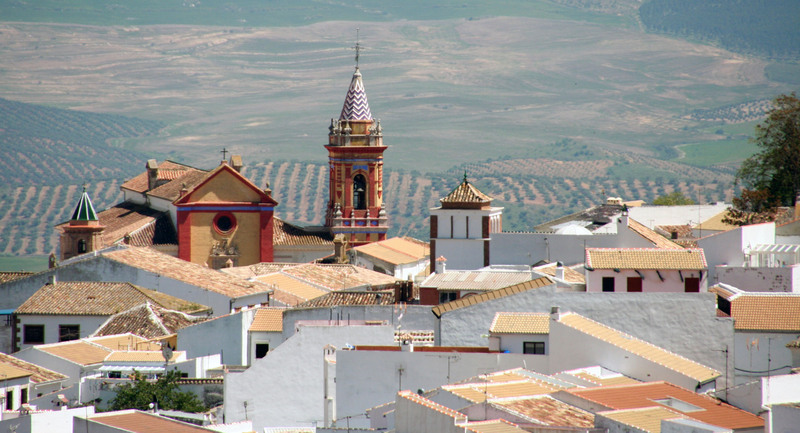 This morning you are free to explore more of Cordoba, This afternoon we'll have a scenic drive south to the picturesque village of Zuheros, in the Subbetica Natural Park, known for its local goat cheese and olive oil. You'll enjoy a short countryside walk this afternoon before settling in to your 3-Star country hacienda (set in a restructured olive oil mill) just outside the village. 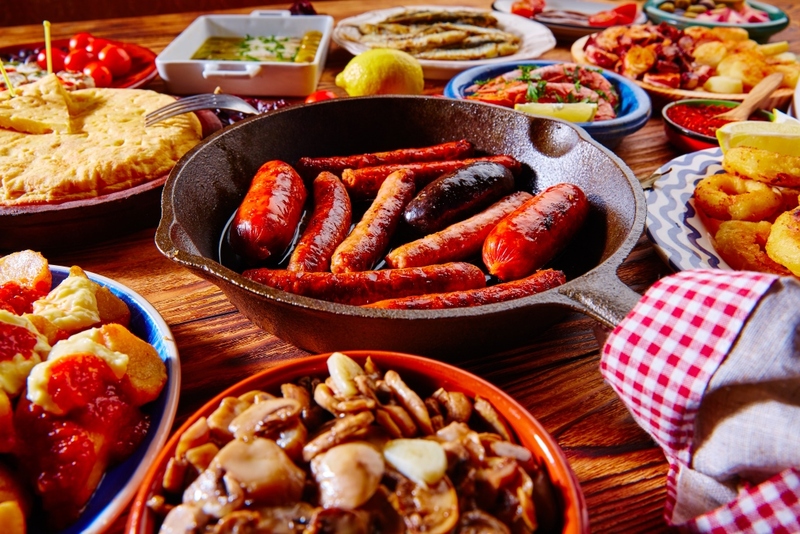 Tonight we'll feast on regional specialties and wash them down with some of the excellent Spanish wines. 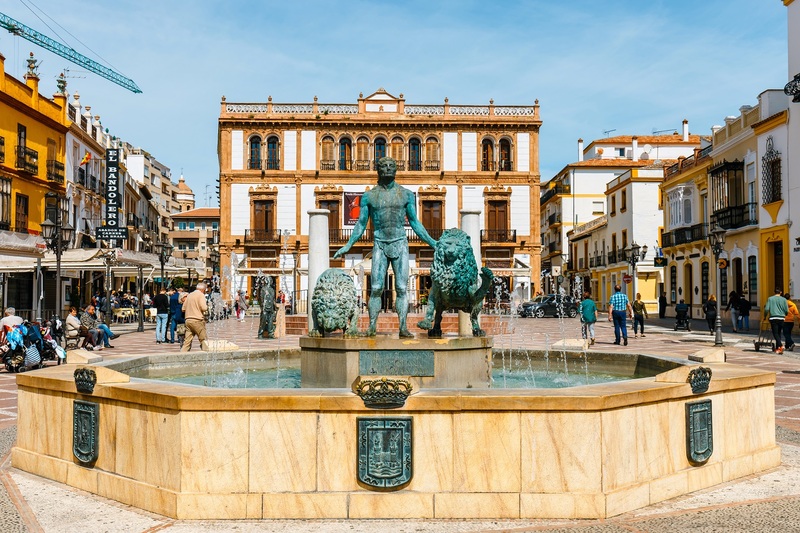 This morning you can relax during the transfer to Granada, After checking into our 3-Star hotel in the heart of the city, the rest of the day we'll spend exploring this small city with an ancient past and a surprisingly cosmopolitan feel. 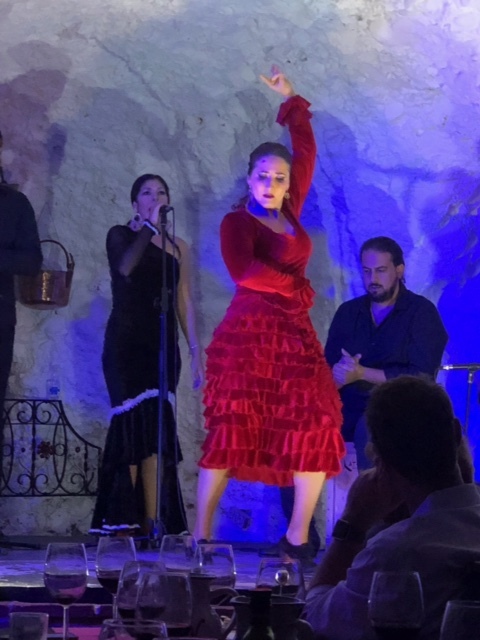 We'll conclude with an exciting Flamenco concert in the Albaicin district followed by yet another spectacular dinner. 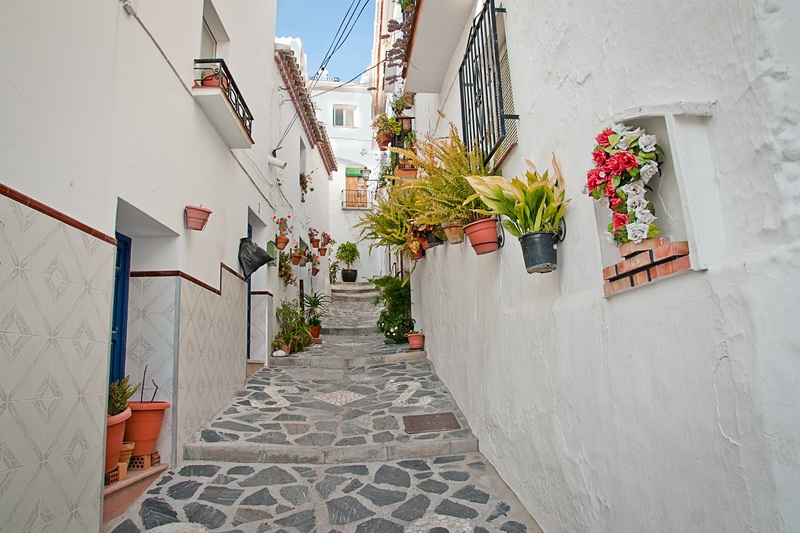 After another enjoyable Andalusian breakfast, we'll have a short but scenic trip to the small town of Capiliera, nestled in the spectacular Sierra Nevada mountains. Riding our bikes from our quaint 3-Star hotel, we'll enjoy the views of the foothills. Eventually we'll trade our bikes for our boots and continue on a walking path to explore the stunning Poqueira Gorge. 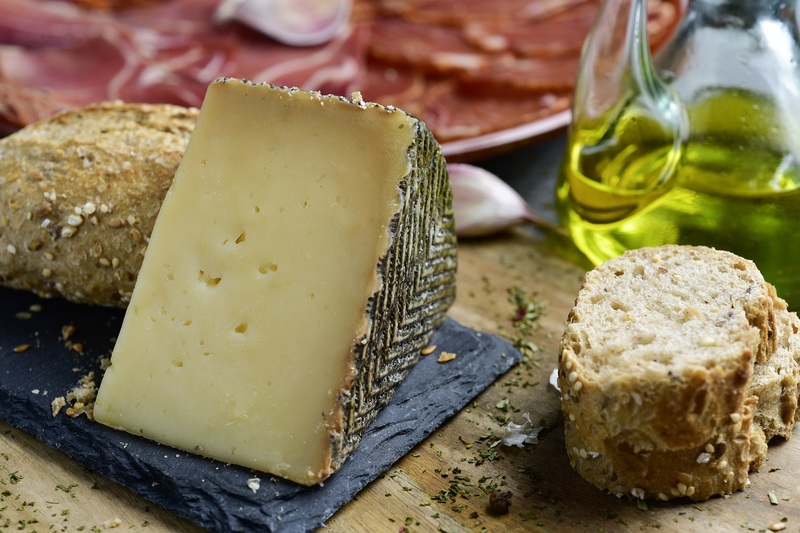 Later we'll pay a visit to a nearby producer of Jamon (Spanish Ham). Join our merry group of adventurers and be the first to hear about our latest tours!